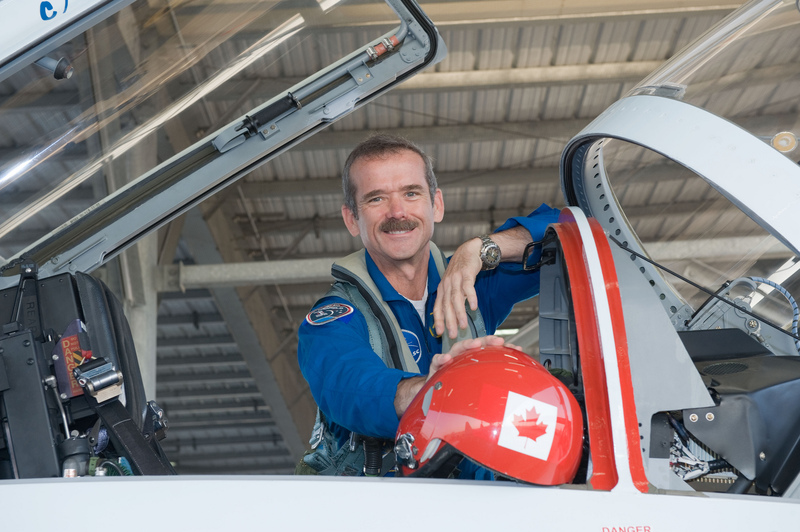 Chris Hadfield is a Canadian treasure–an astronaut and real Renaissance man. Hadfield is well-loved here in Canada, the first Canadian to walk in space and command the International Space Station. He developed worldwide celebrity through his social media presence while in space, posting YouTube videos and interacting with people down here through tools like Twitter. He is also an author, musician, professor, and has an extensive military career behind him as well. Hadfield is one of those exceptional humans who nevertheless feels accessible and real to “ordinary people.” One might call him “down-to-earth” (har-har… sorry). 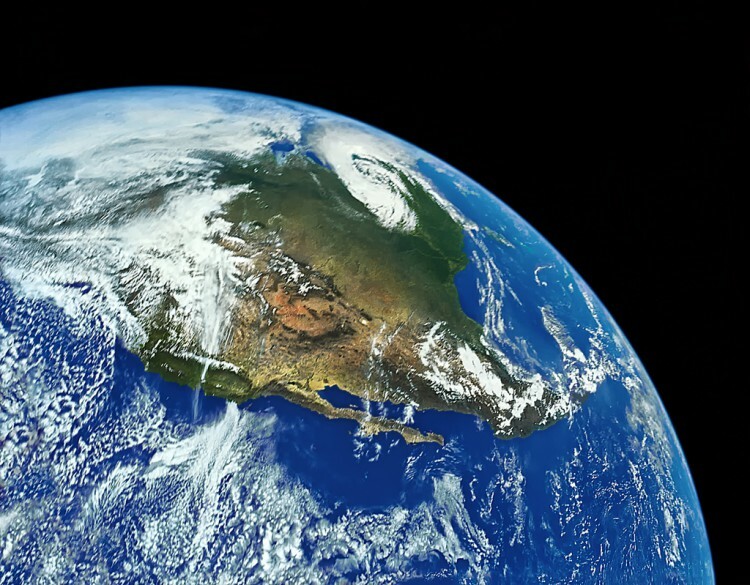 In his time in Space, he brought the rest of the world with him, as though we all had a right to his experience of being out in that vastness despite the fact that the tiniest fraction of humanity will ever actually experience it in person. I believe this is the reason for why we love him so much. 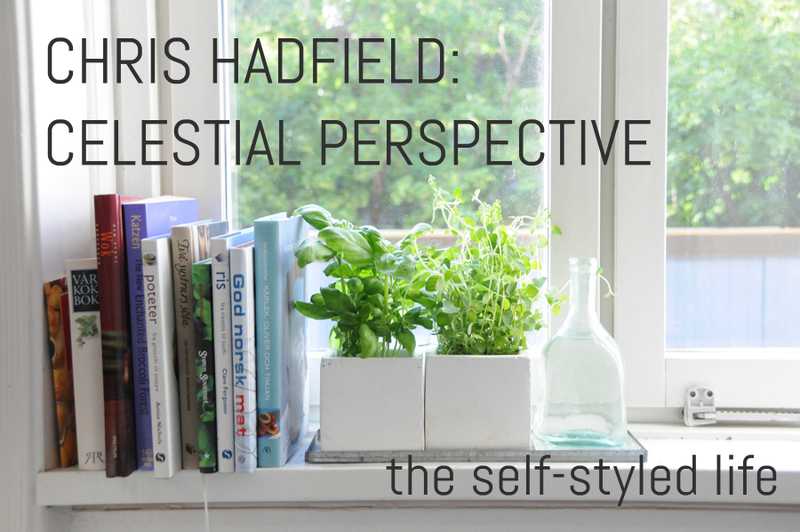 One recent morning, as I worked away in my kitchen preparing meals for when Baby2 arrives–a picture of domesticity–I heard an interview with Hadfield on CBC radio’s Metro Morning. He was on to promote his new album, “Space Sessions: Songs from a Tin Can,” which he wrote and recorded while in outer space. It was released on October 9th. One particular moment stuck with me, as Hadfield reflected on his multi-platform interactions with the world. The host, Matt Galloway, noted that as he prepared for the interview, he and his producers joked about Hadfield’s “business card”–“musican, author, speaker, retired astronaut…” Galloway asked Hadfield about his motivation for engaging in all of these different pursuits. Hadfield explained that he always wants to be “useful.” He hopes to “[share his] particular perceptions of the world with anybody who’s interested so that they can… maybe see things differently, if not more clearly.” To me, that brings to mind one word: perspective. This simple description tumbled around in my mind as Hadfield’s folksy voice came over the radio. Sometimes it can feel pretentious to share my thoughts here, or in anything I write. I’m not an expert on parenting, or living life, or being human. And yet, it’s always my hope that people will be interested in what I have to say, and given the feedback I continuously get, it seems the interest is in fact there. Hadfield put it into words for me. There’s always utility in sharing my perspective. Not because I’m “right.” But because there’s value in viewing life from someone–anyone–else’s window, whether it’s a window in outer space or in the comparatively wee domestic life of a stay-at-home mother. This felt especially germane as I’ve had a number of friends and family members recently ask about starting a blog of their own. They all express a similar thread of nervousness at the idea of whether anyone will care, whether or not they have some sort of “mandate” for sharing their experiences and thoughts. To that I say, yes! Someone, not everyone, but at least someone will care. Someone will be touched by their perspectives and thoughts and advice, and for that one person alone, it’s worth it. Hadfield’s words also serve as a reminder that it’s important to actively seek out the viewpoints of others, especially those whose experiences and opinions are different than yours. As he said, you may see things differently–your opinion may change. Or you may gain further clarity–your opinion may develop a stronger footing. Either way, life is too big for any one person to know all of it; the pooling of our thoughts and experiences is essential to gaining a more complete understanding. And at the very least, anything I or anyone else says or writes or feels is always there to take or leave as you wish. You agree, you don’t agree, you’re moved, you’re bored… it’s all fair! 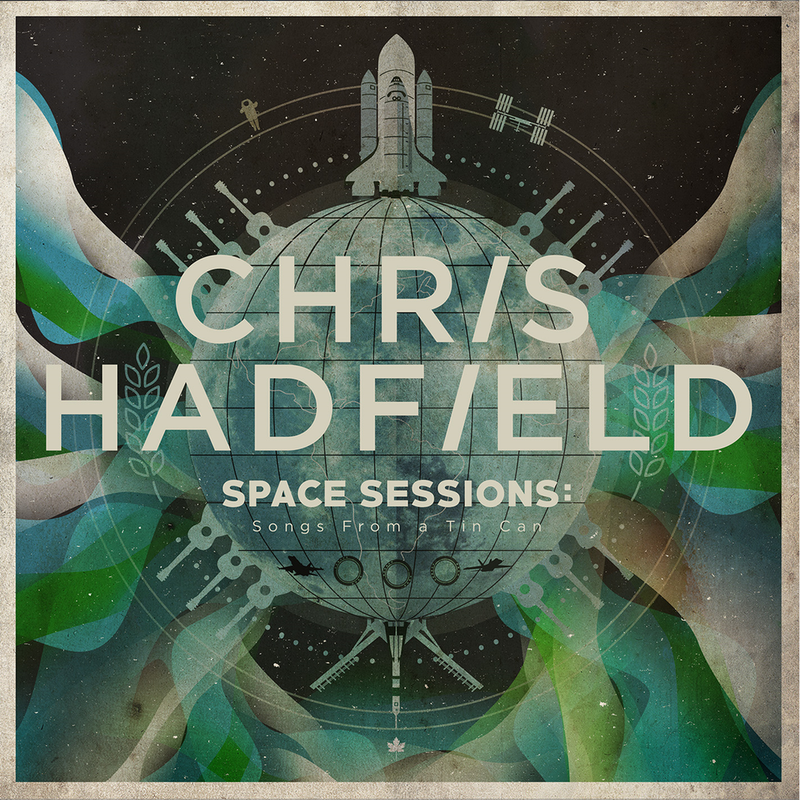 I urge you to listen to Hadfield’s interview, especially if you’re not familiar with him–he’s truly a remarkable guy!